Summary: The mains objectives of ConSOLI+DA where, to improve the high temperature solar Spaniard technology. TF role was to develop innovative tools in order to simulate central tower receivers using HPC facilities. 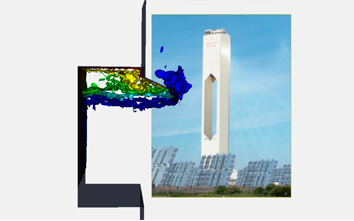 Thus, as a result of the project TF owns highly advanced software capable of predicting the behavior of the turbulence and fluid dynamics characteristics of CSP receivers by the means of LES modeling and the use of HPC facilities.